The property market has changed and will continue to do so for some time to come. Our capacity to adapt to these changes, will determine the measure of our successes going forward. Slowdown in property sales, due to market pressures. Purchasers find it difficult to access adequate funding, due to strict NCA loan criteria. Purchasers, more often than not, cannot raise the deposit required by the financial institutions. Purchasers, after having been able to raise a deposit, cannot afford paying further transfer fees, bond registration fees and costs. “Troubled sellers” cannot get their properties sold at market related prices and are left with no option but to face foreclosure. Purchasers with adverse credit records cannot access the market and are forced to consider the rental option, this amid the fact that these purchasers may have the financial means. 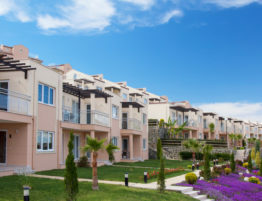 How does purchasing fixed property via Instalment Sale Agreement (ALA Act 68/81) work? Purchase price (the seller usually wishes to accelerate the process of determining the purchase price, as registration will only take place at a later date. Instalment sale agreement term (any period between 12 ? 60 months). Agent’s commission and how it is to be paid. Who will be liable for rates and taxes and on which date will risk relating to the property pass to the purchaser. Capital instalments over term (attempt to get to a 20% deposit over term). 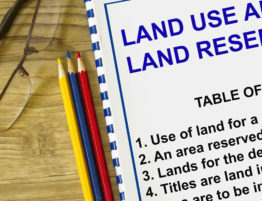 Once the parties have reached an agreement on these terms, the attorney drafts an agreement that meets the criteria, as set by the Alienation of Land Act 68/81 (please take note that the attorney will ensure that the specific transaction does, in fact, fall within the ambit of the ALA Act). Once the ALA agreement has been signed, the attorney will, amongst other duties as laid down by the Act, inform the existing bond holder of the conclusion of the ALA Agreement and request that the bondholder issue a certificate in terms of the ALA Act within 21 days of the request. The certificate indicates and confirms the amount that the bondholder requires to be paid for the discharge of the bond, as well as the rate of interest which the bank shall levy from time to time on the property. If the amount owing to the existing bondholder, under said certificate, exceeds the purchase price payable under the ALA Agreement, the ALA Agreement shall lapse and will be of no further force and/or effect. Once the attorney has received the title deeds from the existing bondholder, he/she will proceed with the endorsement of the title deed, in terms of Section 20 of the ALA Act. The endorsement must be registered before the seller receives any capital from the purchaser. The seller remains the owner of the property. The bondholder has no right to refuse the conclusion of the agreement, save for as stipulated above. The purchaser takes occupation on the agreed date and pays the seller occupational rental. The purchaser is usually liable to pay rates and taxes from the date of occupation, unless otherwise stipulated. The seller receives the deposit together with all capital instalments, on the due dates, on condition that Section 20 endorsement is registered against the title deed of the property, thus creating cash flow. The purchaser takes transfer at the end of the agreement term, but may elect to take transfer sooner, on condition that the full purchase price is secured to the seller. 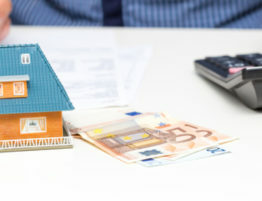 The purchaser may sell the property at any time during the period of the ALA agreement, on condition that the seller?s purchase price is secured and paid on the transfer date. The agreement has no suspensive conditions relating to the purchaser having to have completed approval of a bond by a certain time. The ALA agreement does not fall within the ambit of the NCA legislation and the purchaser therefore does not have to adhere to strict lending criteria to be able to conclude the agreement. In practice though, we do execute a vetting process to ensure that the purchaser can afford to purchase the property. The purchaser usually accumulates a 20% deposit over the term, making it easier to get bond approval at the end of the term of the ALA agreement. A purchaser with an adverse credit record can utilise the term of agreement to rectify their credit status, if they wish to apply for a bond to be able to take the transfer. The seller now increases his/her chances of actually getting the property sold. The seller generates “cash flow” by receiving both rent and capital over the term of the ALA agreement. The purchaser usually pays the rates and taxes, if so agreed by the parties. The purchaser, who has taken occupation of the property, is an even better tenant as he/she is committed to the transaction by payment of capital to the seller before registration of transfer and tends to take good care of the property as the purchaser has a vested interest. The agreement, once concluded, is not subject to suspensive conditions, so the purchaser is committed to take the transfer. “Troubled sellers” now have the option to utilise the ALA to manage their existing debt with the bondholder and by doing so, prevent foreclosure. All purchasers can now acquire property. No deposit required, unless parties agree that a deposit needs to be paid. The purchaser can utilise the term of instalment agreement to rectify any adverse credit record issues and to accumulate his/her deposit. The purchaser can sell the property at any time during the course of the ALA agreement. The purchaser can attempt to purchase property by ALA at the current value and if he/she succeeds, it would make for an even better proposition at the end of the term. The purchaser need not apply for a bond on conclusion of the ALA agreement. Earns commission, which is paid in instalments over the term of agreement, if so agreed. “Troubled sellers” can now, by utilising the ALA agreement, be empowered to manage their obligations to their bank, without having to foreclose. As the seller is selling their property at market related value, the bank no longer faces the prospect of having to sell the property at a loss. The bank now has a mechanism whereby it can assist its clients in managing their obligations to the bank, and in doing so, create good publicity for the bank. All ALA purchasers collectively form a data base that the bank can manage and empower to qualify for a bond at the end of the term of the agreement, when the purchaser has paid his/her deposit and cleared all adverse credit record issues. In closing, I wish to recommend that you do not implement the ALA agreement without the assistance of your attorney. You are more than welcome to contact Bert Smith Incorporated to schedule a consultation, if you require advice and/or assistance in the implementation of the ALA strategy.